​It’s 1994. Junior lawyer, Vince Osbourne, leaves behind a small, mean and viciously circular life in the city representing petty criminals and takes to the road. He’s lived 30 years. The wide continent of Australia is out in front. He’s almost young. Where will the road lead? Click The Image To Read The Reviews! Click To See The New Release Tour Here! This intriguing book is based on the author’s personal memoirs and although it is described as fiction it feels very, very real. Vince has reached a stage at 30 when he wants to break free from a life that seems to be suffocating him. 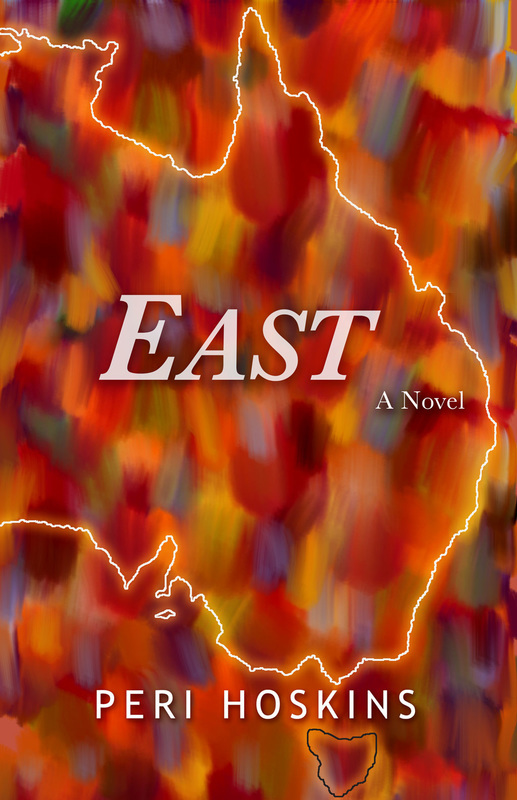 He has been working as a junior lawyer but needs to do something different and this book tells of his travels towards the East of Australia. His journey draws you along with him as he discovers himself and realises that he can achieve so much more than he previously thought possible. He settles in places with people from his past that he sees in a new light, along with their prejudices. Then there are the long and testing journeys across the deserts of Australia, meeting a fascinating mix of people along the way. Vince’s observations on the Aboriginal people, being of Maori origin himself, are extremely revealing. The back breaking work he takes on in a mine, to earn some extra money, couldn’t be further removed from his previous work as a lawyer. The bonnet in front of me is big and white. Rain on the windscreen – the wipers sweep it away. The clouds are grey, the road is grey, the suburbs are grey and I am leaving. There is joy in that. I’m leaving it behind – a life – small, petty, viciously circular. Out in front is the road and I don’t know where it will end. I am free. I’m almost young. A beginning. Renewal pulses in my blood, pumping out from my heart, through my veins, feeding me, making me new again, a keenly conscious being reaching out to the uncertainty. This road will lead me to places that I have not seen – to people I have not met. There’s no place I have to be and no time I have to be there. I drive on and on leaving the city far behind. The rain clears. Sunlight glints on wet grass and trees. I see farmhouses, fences and cows. The gnawing in my belly eases as I’m gently enveloped by the freedom of the great mystery now upon me. The shackles of the old life fall away, for I’m shedding a skin – dry, worn, old and scaly. I found the courage to step into the dream. And the dream has become real. The life of a suburban lawyer is behind me. Small decisions. Small repetitions. Which tie to wear today. Pay the electricity bill. Sunday – iron five shirts for the week ahead. See the same people. Say the same things. Hear the same things said. In that life I wondered whether I had it better than the petty criminals I represented in court. Some had no job and no home. They pleaded guilty and I said what I could say, for something had to be said. And then the court, that street-sweeper of humanity, tidied them away. For there must be a place – there must be somewhere for them to go: a prison, a halfway house, a drug rehab centre. There must be a place for everyone – somewhere. These people had fallen through cracks and become untidy. Did they envy my tidy life, those that I helped to tidy away? Did they see my life as I saw it – not a tidy life, but a tidy prison? Tidiness. I had been taught to lead a tidy life. What was it they had said – the teachers, the headmasters? Work hard at school. Get a good job. Be a good employee. Pay your taxes. Mow your lawns. Be a good neighbour. Be a good citizen. Lead a tidy life. Not a full life, a varied life, a great life – no, a tidy life of small neat circles. I have lived thirty years. As the trees and houses and petrol stations whistle by, the reasons for leaving once again crowd my mind. At thirty, life no longer stretches out before me like an uncharted great ocean. If I live to be eighty, more than one third of my life is spent. Where am I? At a time of life when I’m supposed to be somewhere – I’m nowhere I ever wanted to be. I’ll taste the last drops of youth before the cup passes from my lips, forever. The familiar yearning claws at my insides again – but it’s different now – it’s happy knowing I have been true to it – finally. The yearning … a murmur in a corner of my soul ... that’s how it started … a couple of years ago ... I pushed it away. I was busy; there were things to do. It kept coming back, stronger and stronger: a growing gnawing that would not be denied. The day I turned thirty, I came to know what it was, finally. It was the feeling of having missed my destiny. At one of life’s important junctures, I don’t know when or where, I’d taken the wrong turn. I have been at the wheel for four hours. The muscular movements needed to keep the car on course have become automatic. My thoughts drift freely now, first to the future – new, pregnant with possibility – before anchoring in my childhood. I recall a long-buried idea – from a time of wonder at a world full of possibilities. As a child I thought I could see into people, a kind of second sight. Memories flow into my mind – sharp, clear, focused. I see things now as I saw things then. I am a small boy sitting in the passenger seat of a car. My father is driving. We approach an intersection. A policeman is standing in the middle directing traffic. He signals the car in front to stop. The policeman fascinates me – his neat blue uniform, high black boots, long white gloves – his precise hand signals. He makes cars stop and go by moving his hands like the man who made the puppets move at the fairground. The gloved hands move and the cars obey, crossing the intersection, slowly and respectfully passing the uniformed man. From above I hear the noise of a plane. In the eye of my mind as a child I see the silver wings and fuselage. The policeman’s eyes turn skyward to the plane I see clearly in the window of my imagination. The officer’s long-gloved hands slowly fall to rest at his heavy belt. Cars bank up at the intersection. The driver in front looks at him for directions but he gives none. Unconscious of the traffic, his attention is focused in the sky above. The face of the policeman loses form and I see into him. First I feel his discomfort in the hot uniform, the dryness in his throat and the tiredness behind his eyes. Gradually my perception deepens. I sense the numbed heart, the thwarted ambitions – the hopes and dreams unrealized and gone awry. He doesn’t want to be here, directing traffic. The past has cheated him. He is disconnected from the present and fearful of the future. A car horn honks from behind. A driver doesn’t know why the traffic is not moving. The policeman’s eyes return to the traffic, his arms snapping up with military precision. As he waves us on, the look of purpose clothes his face once again and the moment of seeing into him has passed. The second sight would come to me without warning and always just for a fleeting moment or two. I would see my mother trying to hide an emotion or catch my father unguarded, looking into the distance. In the moment of second sight the physical would melt – the body become transparent and amorphous. Instead of seeing the person I would see into the person – reach inside to the heart, sense the fears, touch the dreams – see the humanity, raw and struggling. Where can you buy your copy of Millennium - A Memoir? 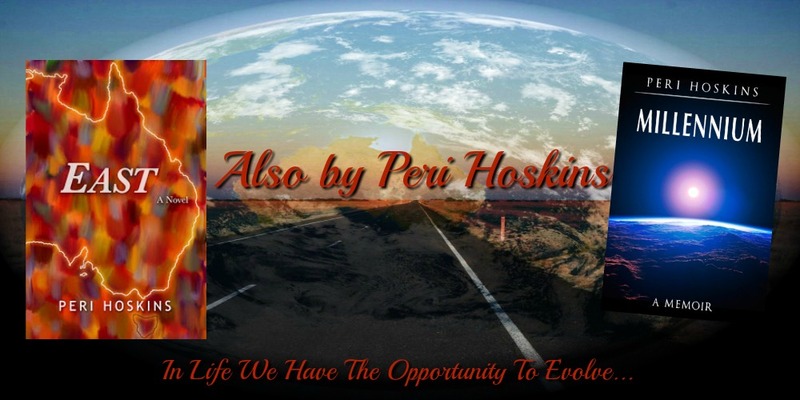 What next for Peri Hoskins? Peri has a new book in the wings getting ready for release day. You will find all the release day news and events here at Rukia Publishing so stay tuned to Sarah Jane's blog. A unique and deep view into the personal psyche of a man who rediscovers his cultural connection with his ancestors at the turn of the Millennium. This memoir is well written and it offers a creative experience for readers who enjoy the mix combination of culture, self-discovery and truth. As a book club we have read, discussed and would now like to submit a review of the memoir Millennium by Peri Hoskins. The first aspect that appealed to us was the artful use of language and a broad vocabulary which enhanced the descriptive narrative and brought the sights and sounds of his environment to life. Secondly the story is told in an individual unique way which helped us as readers connect with the deep rooted spiritual message being conveyed. The author is obviously a very thoughtful, kind-spirited man who is sensitive and understanding of life and it's complexities. These are rare qualities in today's society and it was refreshing to read a memoir written from this perspective. We look forward to reading more from this author as we understand he has a new book in production. Spiritual and enlightening are the words that ring through my head as I ponder the message of this book after reading it. The cultural experience of Tonga is eloquently composed in a unique writing style which demonstrates the delicate yet driven soul of the author. The flow of the memoir is maintained at a steady pace enhanced by the use of narrative, dialogue and philosophical verse. I loved the drawings/illustrations at the chapter changes and found myself studying them as they too are captivating. A book that I know I could read again and would highly recommend to memoir readers. I wasn't quite sure what to expect when I picked up this book, but I have to say it has left a deep impression on me. At the turn of the millennium, and a time of transition in the author's life, he goes to Tonga to see an old friend and celebrate the arrival of the New Year before the rest of the world. There is a large 'cast' of minor characters in the book, all, even in minute ways, influencing the story and each bursting into life with the author's deft descriptions. The book is interspersed with short passages of Hindu writings describing the Age of Kali which find echoes in events in the book. You get a real feeling of being inside the author's head throughout the book. Whether this has something to do with the fact that he wrote most of it in the present tense, I don't know, but it gives a sense of immediacy to his writing. Millennium: A Memoir is a thought-provoking examination of the human character, an honest look at its frailties and strengths. Set in Tonga, at the juncture between the old millennium and the new, the reader is taken on a philosophical journey of what it means to be human. Interspersed with teachings from ancient Hindu scripts that resonate with the action in the memoir, Hoskins has created a sensitively and very well written piece of work that strips away the surface layers of this microcosm of the world, simultaneously revealing both the gritty underbelly and, the raw promise of humanity as a whole. Hoskins holds no punches and it is this, combined with a style reminiscent of Steinbeck that leaves me eagerly awaiting his next offering. I love reading and find many books that I enjoy, but it is only occasionally that I come across a writer who weaves a story that finds a place in my heart. Millennium: A Memoir has done this. This beautifully written memoir tells the story of a sensitive man, with a broken heart, in search of his truth about human frailties, sexuality, ethnic differences, and his place in the universe. A barrister-at-law, the author lives in his Maori ancestral homeland of Northland (Tai Tokerau), New Zealand and navigates between two worlds; modern and ancient—Western and Polynesian. As the new millennium approaches, in the year 2000, he decides to visit an old friend living in Tonga and be present in the first place on earth to witness the rising of the sun. Reflections of his journey are interwoven with solemn predictions of ancient Hindu scriptures. Watching the light fade on the old millennium, he feels the connectedness of all the islands of Polynesia and reconnects with descendants of ancestors who stayed on in Tonga, and ponders whether the new millennium will be better, or just different. A great read! Thought provoking.